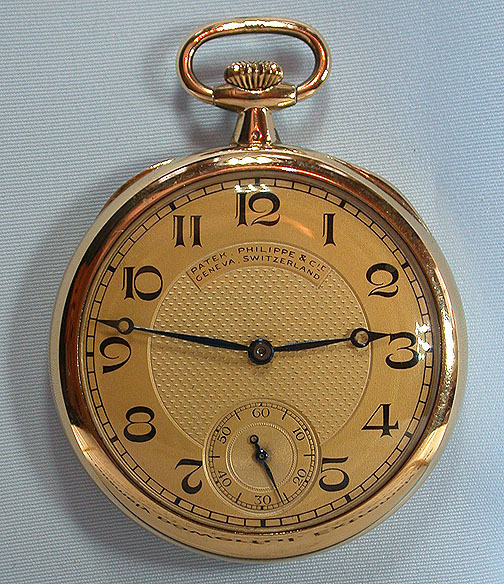 Fine and handsome Patek Philippe antique 18K gold pocket watch circa 1920. 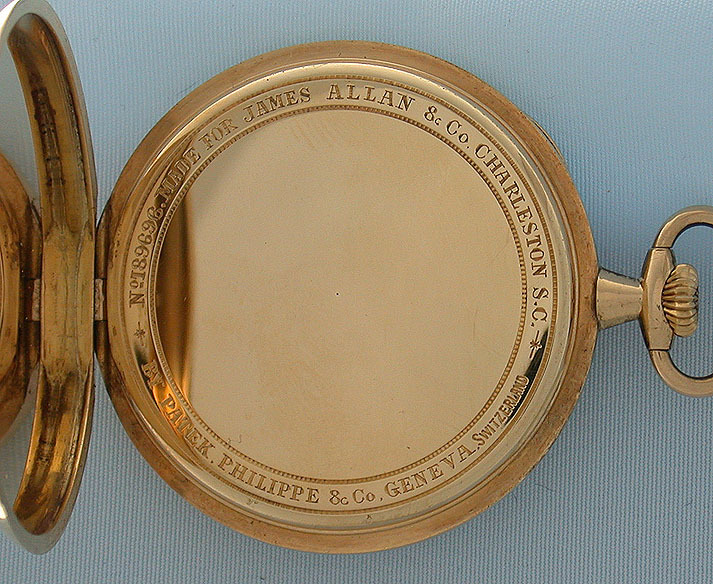 Original and particularly attractive gild dial with chamlpeve hard enamel Breguet numerals and blued steel Breguet hands. 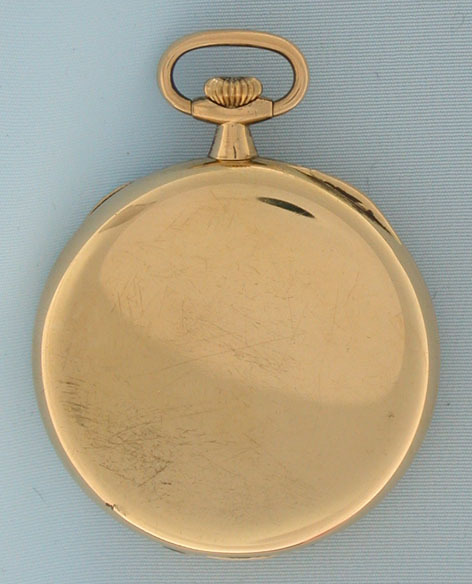 Plain polish gold case with very tiny ding. 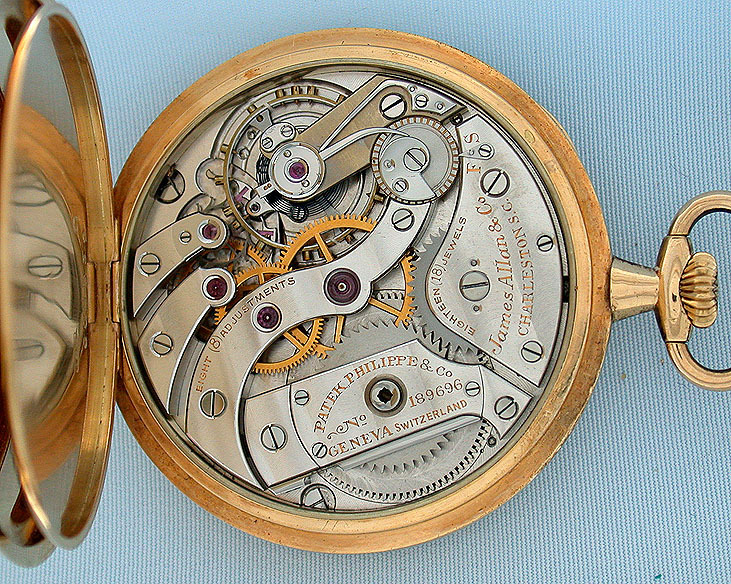 Fine nickel 18 jewel 8 adjustment movement with wolf's tooth winding and precision regulator.